High Strength - As you might have guessed already, these bolts are highly robust in their construction. This provides them needed strength in heavy projects like construction. Both safety and strength of the big structures can be relied upon just because of these nuts. Easy To Install - Even though they can hold massive structures, they are not very difficult to install. The ease to tighten them improves the performance even further. Safety - Whenever you need to ensure safety and security of a structure, relying on heavy hex nut is the wisest thing you can do. They have a galvanized steel finish to ensure the durability of the entire assembly. 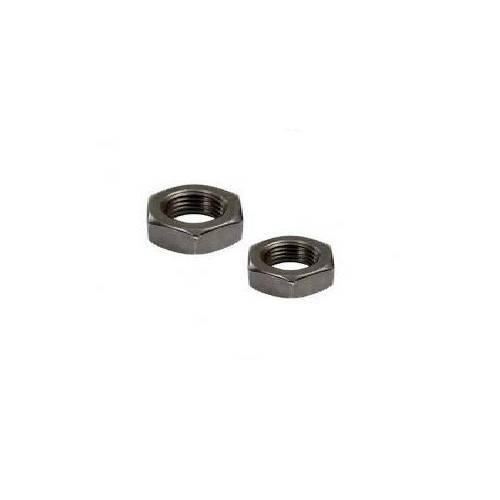 We are also counted among the leading Hex Nut Manufacturers In India. We always stay in touch with our clients to improve our products based on their feedback. This constant improvement has helped us in making great progress. If you want to buy these nuts, give us a call right now.